Daniel radcliffe - Stage Door (July 14, 2011). . HD Wallpaper and background images in the daniel radcliffe club tagged: radcliffe daniel daniel radcliffe random harry potter ♥ tumblr fan art. 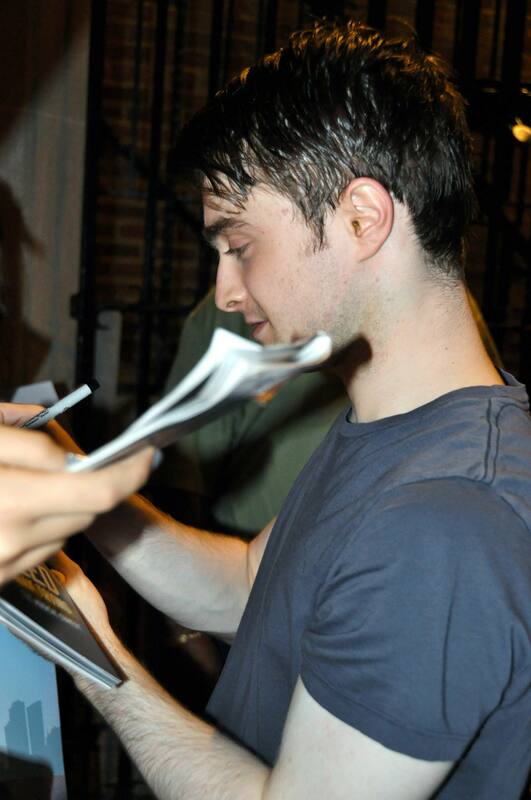 This daniel radcliffe photo might contain signo, cartel, texto, pizarra, and letrero.